and a Juliet Cap veil! Surprise! 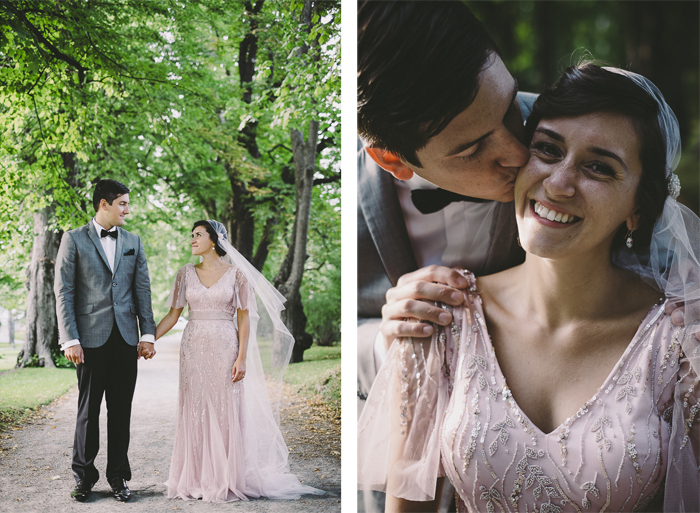 I wore a pink wedding dress! I am one of those 2013 brides. 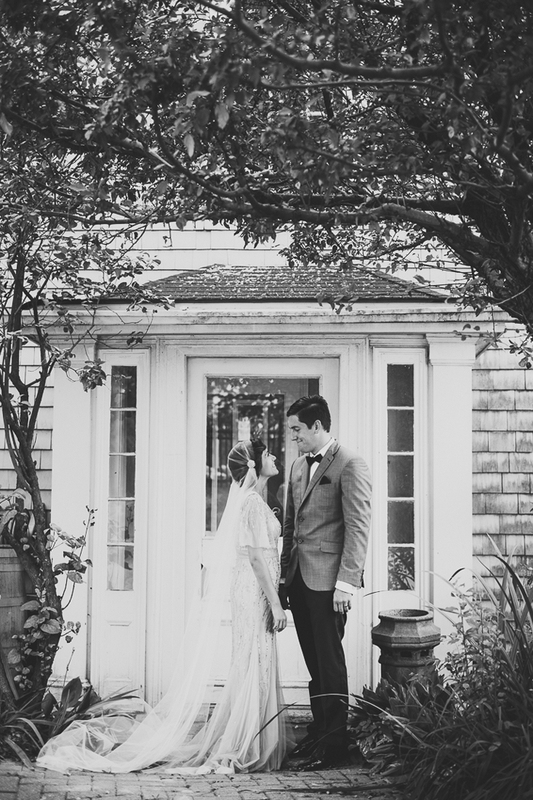 Inspired, perhaps, by Jessica Biel and Anne Hathaway and this beautiful Aussie bride. But also inspired by matters of practicality. I live on a small island in the middle of the Mediterranean where bridal fashion options are limited. So I turned to the cocktail dress rack at Pronovias, where I found this sparkly number in a size four times too big, with attached sleeves and shoulder pads. I kid you not! Lesson number one in finding your wedding dress: See the potential. Since this was a cocktail dress it was significantly less expensive than a traditional white wedding dress. I could afford to have it taken apart and put back together, so I did. A Maltese seamstress took the dress down to my size, removed the shoulder pads, made the sleeves detachable (a day look and an evening look), and hemmed it for my short frame. I know everyone says not to make too many changes to your dress, but I’m here to tell you to try it. See the potential. Find a seamstress who sees the potential. And then, while she cuts away at your dress, have a glass of champagne or two (it makes it all much less stressful). Lesson number two in finding your perfect wedding dress: Trust your gut. A few weeks before my wedding I made the big mistake of going to Pronovias.com and looking through their new collection of bridal dresses. The panic began. Would I feel like a bride in a pink wedding dress? Had I made a horrible mistake? Does it still fit right? What about that neckline, is it too narrow? Should I just go out and buy a new dress? Was I going crazy? Was I turning into a bridezilla? I sent a panicked email to my mum, spent a week oscillating between emotions (I love my dress! I hate my dress!) and confusing my fiancé (I couldn’t very well tell him exactly why I was panicking without revealing what colour my dress was). And then I made a plan. 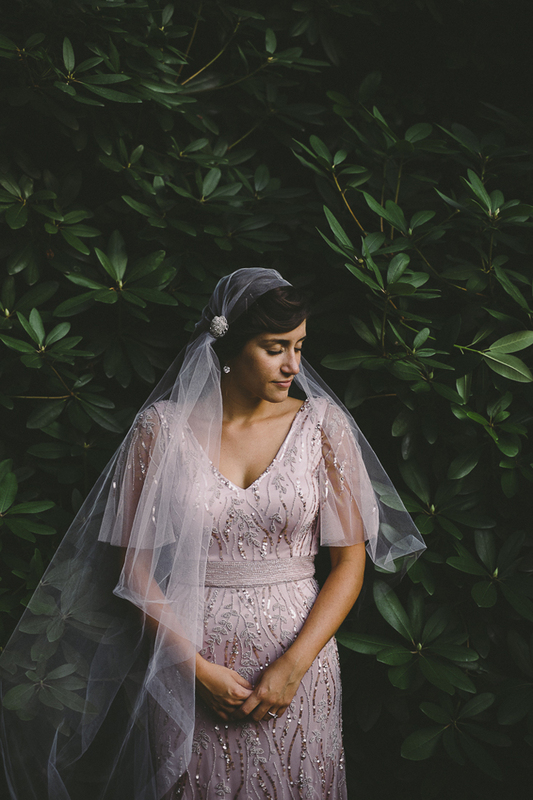 I trusted my gut, which told me when I first saw my pink wedding dress – even when it was four sizes too big and had shoulder pads – that it felt like me. I trusted my gut, which was now telling me something wasn’t quite right. So my mum and I agreed to make a veil together when I arrived in Canada, which would make the pink dress look more ‘bridal’ (it did). And we contacted a seamstress in my hometown who was willing to do some last minute adjustments to the dress. And that panic went away. 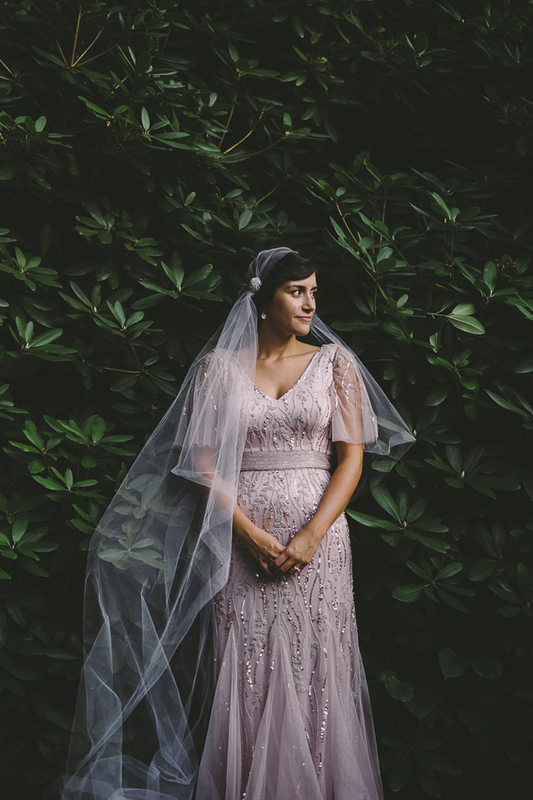 On my wedding day I was so pleased with how my dress looked – and how I looked in it. Modern, but traditional. Sparkly, but soft. 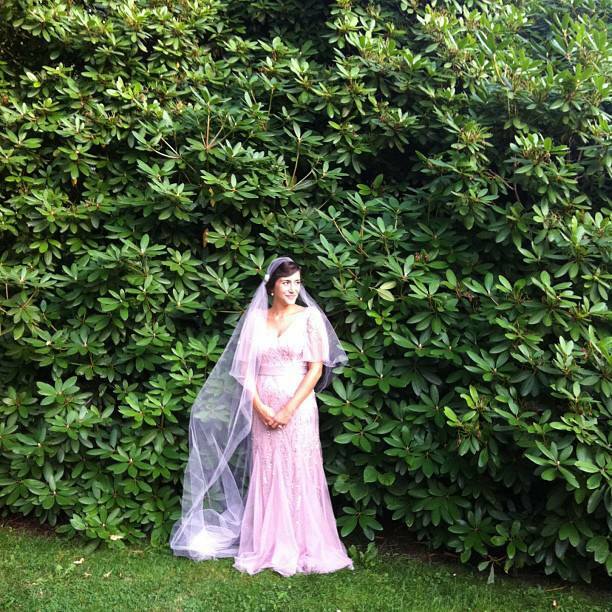 A train and a veil, but an unexpected colour. 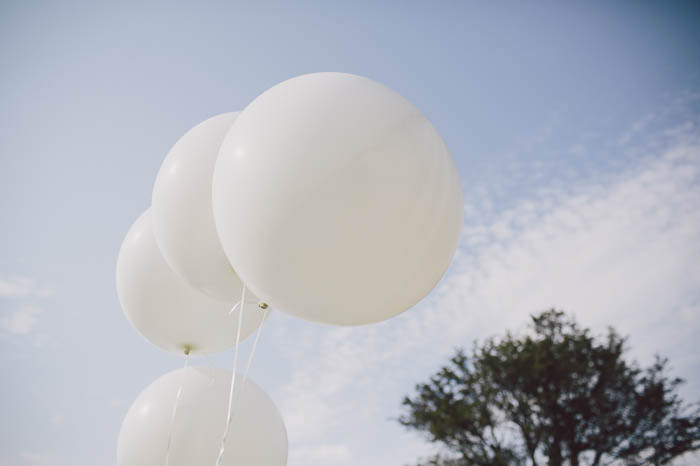 If you’re worried about pulling off a coloured wedding dress – worried because it might not be ‘bridal’ enough – I recommend sitting down and thinking what, if not the white colour, makes a bridal outfit ‘bridal’ to you. Is it the veil? The train? The hair and make up? Take that element and adapt it to your outfit. For me, it was the tulle veil. My veil cost about $20 to make and involved no sewing. I found soft tulle at a fabric store, cut it, and didn’t bother finishing the edges (tulle can be forgiving like that). It’s a Juliet Cap veil, so to fasten it to my head my mum found two small beaded brooches which we attached pins to, and then pinned onto my veil and into my hair above and behind my ears. 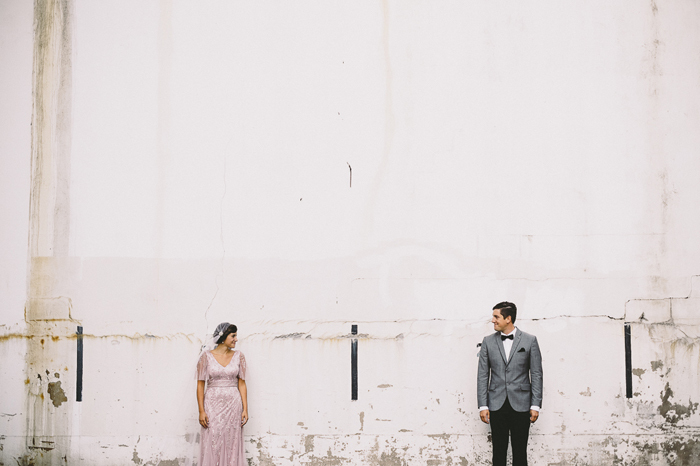 It couldn’t have been simpler, and I couldn’t have felt more like a bride while wearing it. Even my husband, who hates veils (something about female oppression), liked it! Tell me, were you a 2013 colored dress bride? 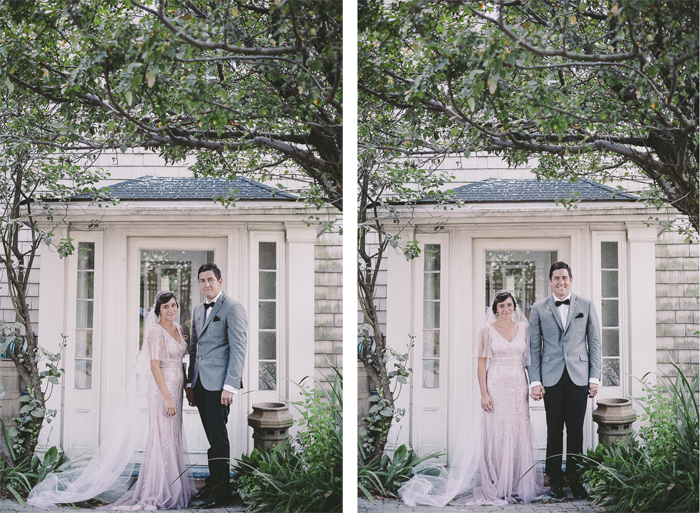 Would you rock a pink wedding dress? I’d love to know! Comment below! DIY DJ’ing my wedding was pretty much a no brainer. My husband and I aren’t big music people, so it was one area of our budget I happily skimped on. Here are the ‘lists my husband and I created for our wedding party: Four hours of cocktail hour (more obscure) music, and 3 hours of dancing music (more popular). Where possible, I’ve added links to YouTube. I hope other DIY DJ brides find this to be a helpful starting point! I wanted this part of the evening to feel like you had stepped into a bistro playing old 20’s-40’s European music. 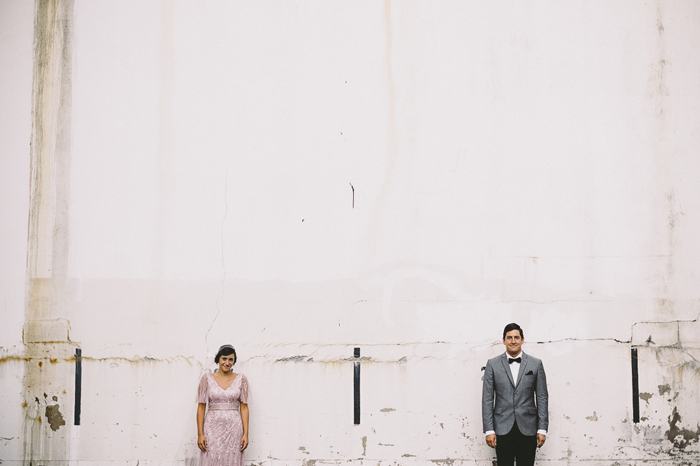 These songs would work well for a vintage themed wedding (even though ours wasn’t). I wanted these songs to transition the evening into a fun, party atmosphere. 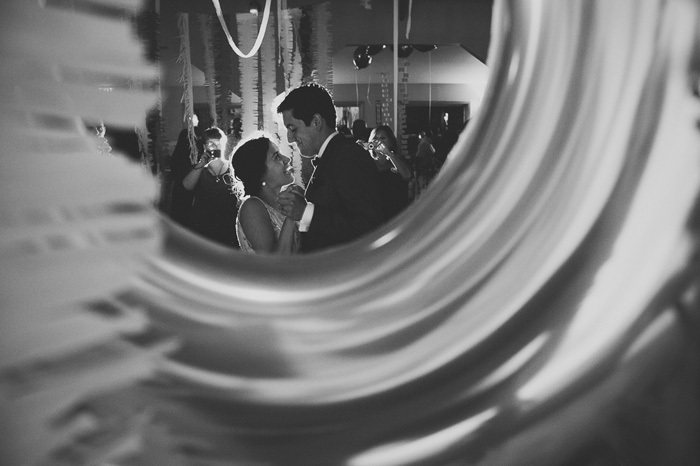 They were also a good transition between our vintage themed music and our dance party music. These songs have a more sentimental feeling, but that doesn’t mean they are slow or sappy. We played them before our toasts and first dance. Sexual Healing – Hot 8 Brass Band – we also played this during our ceremony and it is by far my favourite wedding song ever, hands down, no contest! 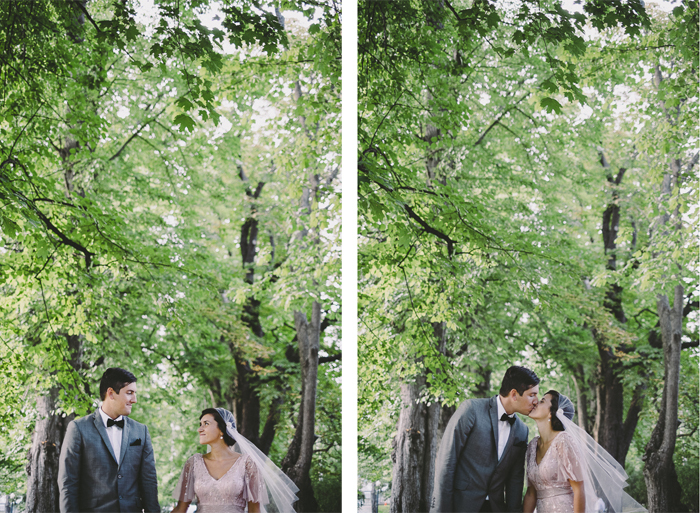 Sweet Disposition – The Temper Trap – I also walked down the ‘aisle’ to this song because I think it’s so beautiful. Since we don’t know much about music, this was certainly not an original choice. Again, nothing very original, but lovely nonetheless. We never expected them to, but these songs got everyone on the dance floor. Beer Barrel & Wedding Polka – Al Cherney – my mom requested that I play a polka because my grandfather loves to polka. I thought not one else would like it, but the dance floor was packed! 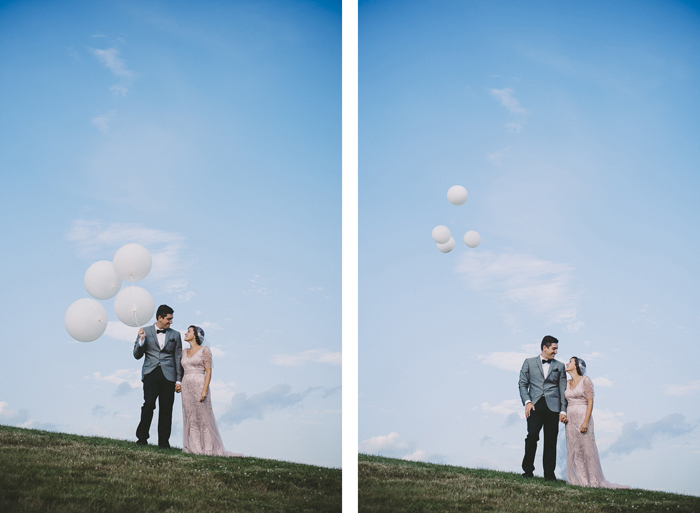 I dare you to try a polka at your wedding! Feel the Love – Rudimental feat. John Newman – a surprise hit! the dance floor was shaking! By this point in the night our DIY DJ station had been hijacked (it’s a risk of DIY DJ’ing!) and these songs hit the dance floor. Turns out, they were even better than our choices to end the night with. Paradise by the Dashboard Lights – Meatloaf – everyone over the age of 30 loved this one! Get Low – Flo Rida feat. T Pain – everyone under the age of 30 thought this was hilarious! 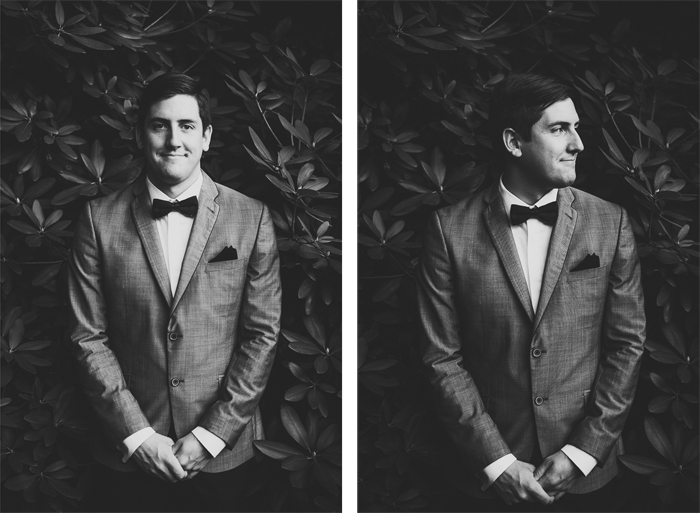 Have you DIY DJ’ed your wedding, or a party? Do you have other good wedding music recommendations? Do leave them for other readers in the comments below! 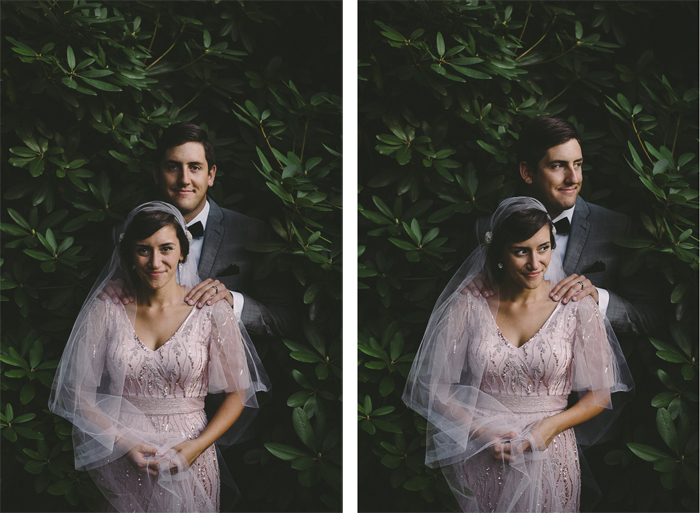 I planned my wedding on a single-salary, grad-school budget. As a compromise with my husband (he hates paper stationery), and because I am forever traditional-but-not, I used a combination of paper and electronic wedding stationery for my summer wedding this year. Here’s how I made it all work under $200. Since our wedding was a two-day affair, it was easy to draw the paper/electronic line: We went paper for the ceremony and electronic for the party. 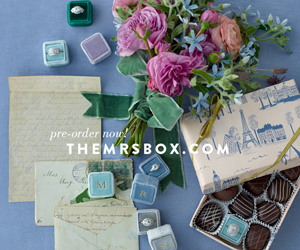 This was a decision made easier because we already had the mailing addresses of our ceremony invitees (our immediate family members) and electronic stationery is easier to track, which was great for our big party invite list. 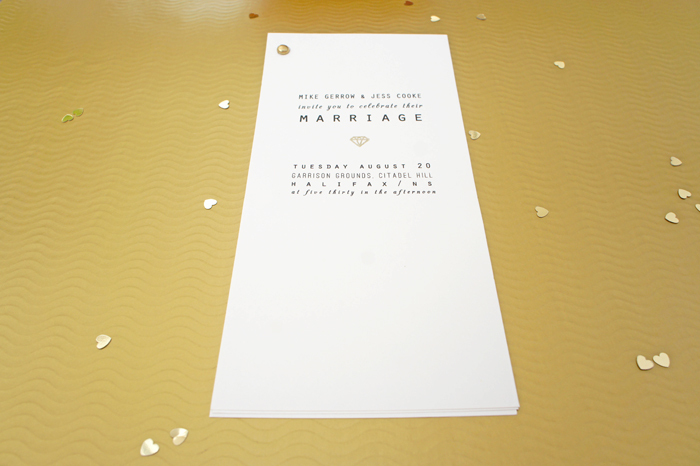 I made my own paper wedding stationery using our printer at home, a $20 paper cutter, basic card stock, regular pink envelopes, a gold diamond stamp and stamp pad I bought on Etsy, gold heart stickers I bought on Etsy, and confetti and fasteners from the dollar (well, Euro) store. It was so easy to make these that if I published a DIY-tutorial here you would roll your eyes: Design on Photoshop/InDesign, print on card stock, cut with the paper cutter, punch a hole in the top corner, and fasten with a brass fastener. 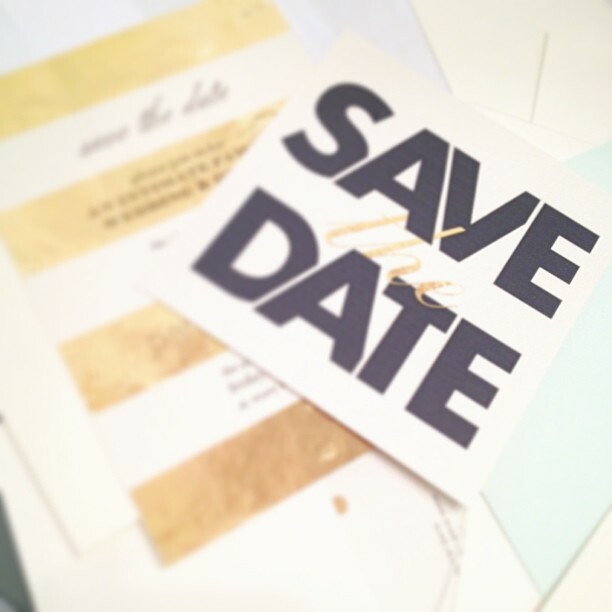 I sent our electronic wedding stationery through Paperless Post (we used the Kate Spade templates). 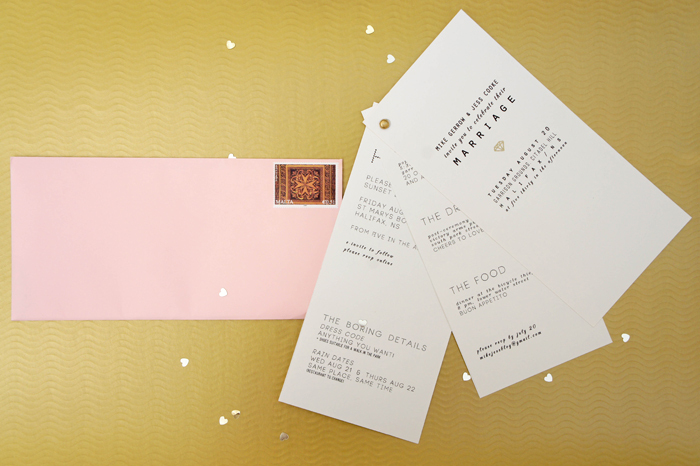 We sent our electronic invites before Paperless Post launched their new paper cards (ironic). So, for our guests who didn’t have email access (like our grandparents) I printed out our Paperless Post cards, trimmed them with my paper cutter, and mailed them out. The grand total for our 350+ paper and electronic save-the-dates, ceremony, and party invitations, and international postage (about $0.75 a stamp) was $200. My grad school bank account was happy. My husband and I were happy. Win-win-win! are you a paper or electronic stationery girl? 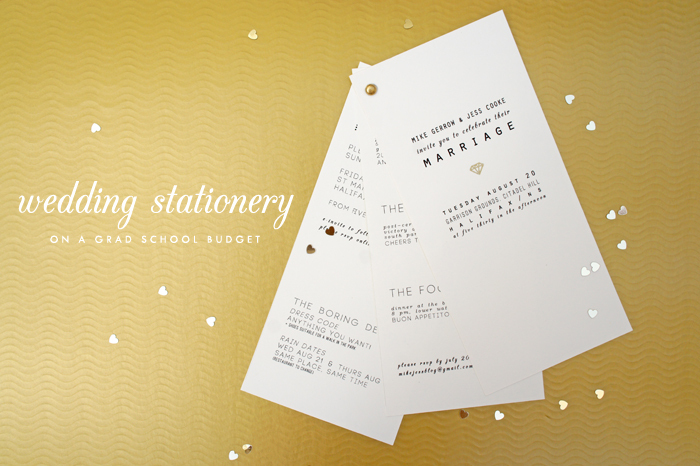 Have any stationery saving tips? Leave them for other brides below! I’m a writer by trade, so I thought writing my own secular, civil wedding ceremony would be a piece of cake. It wasn’t (but it was worth it). There aren’t many blueprints for how to write a ceremony that still feels traditional, but isn’t traditional. I’m sharing mine in the hopes that it makes your ceremony writing journey smoother. To set the scene for you, our wedding ceremony was small, with 16 attendees and no bridal party. 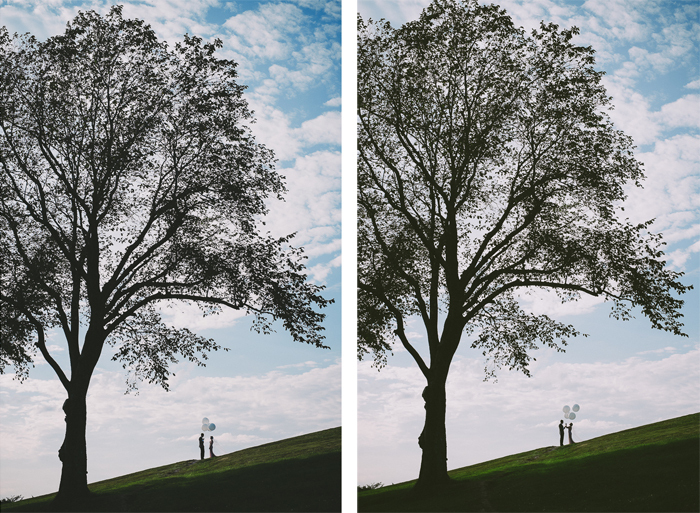 It took place in a public park in the middle of Halifax, Canada, where people don’t normally have weddings. 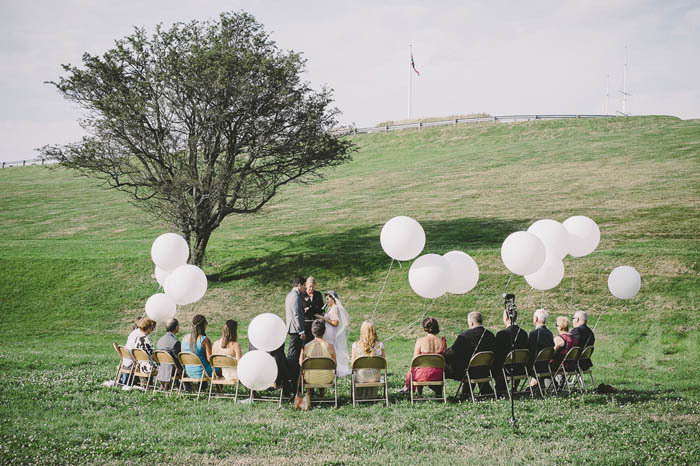 It was a pop-up ceremony, so the only equipment we had with us was 16 shiny gold chairs, some giant white balloons, an iPhone, a portable Bluetooth speaker, and a small table (for signing paperwork on) that we piled into the back of a van. Everyone wore sequin heart pins because I love that scene in the Julia Childs movie where everyone is wearing big red hearts on their lapels on Valentine’s Day (you know the one, Meryl Streep looks perfectly adorable in it). Since there weren’t that many guests, we arranged the chairs in a semi circle, so there was no aisle per say for a processional and recessional. There’s no rules for how a secular ceremony should look, which is both liberating and terrifying. I wrote mine by following the outline normally followed in a traditional ceremony, but changing it to make it more relaxed and comfortable for us. Since my favourite part of weddings is seeing the groom see the bride for the first time during the processional, I kept that part. 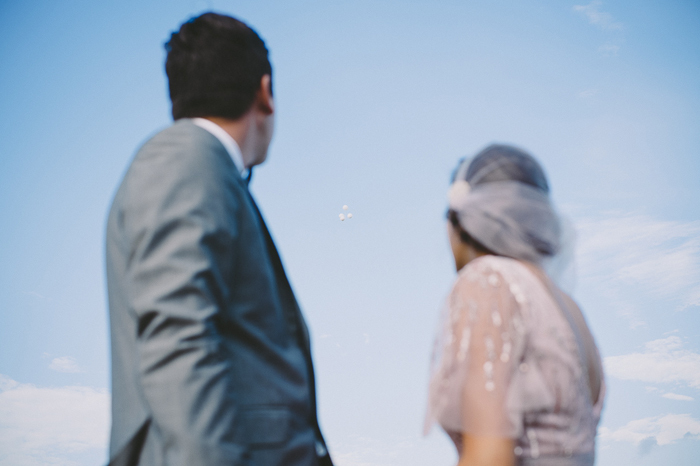 Our ceremony was in a wide-open field, so to make sure my husband didn’t get a peek too soon, we had him face away from me as I made the long-ish walk towards our ceremony set up. 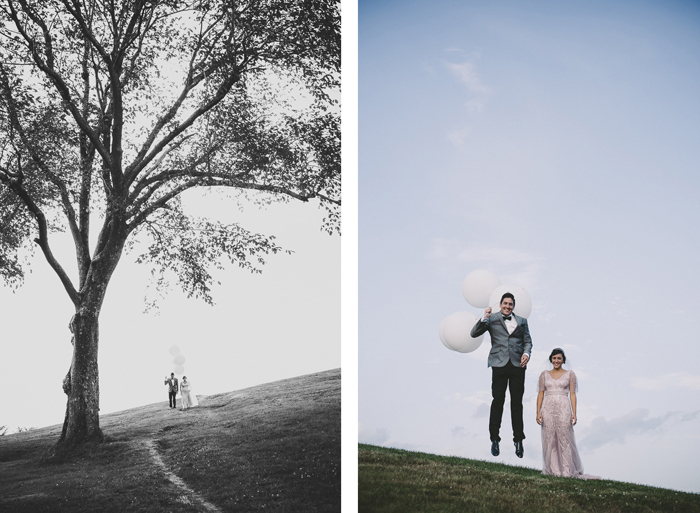 I hid behind a lone tree while my processional song was cued up (Sweet Disposition by The Temper Trap) and when the music began I walked towards him as he turned around. It was perfect. We DIY DJ’ed our wedding ceremony and used the My Wedding DJ app for iPhone and a little portable Bluetooth speaker. It worked wonderfully. 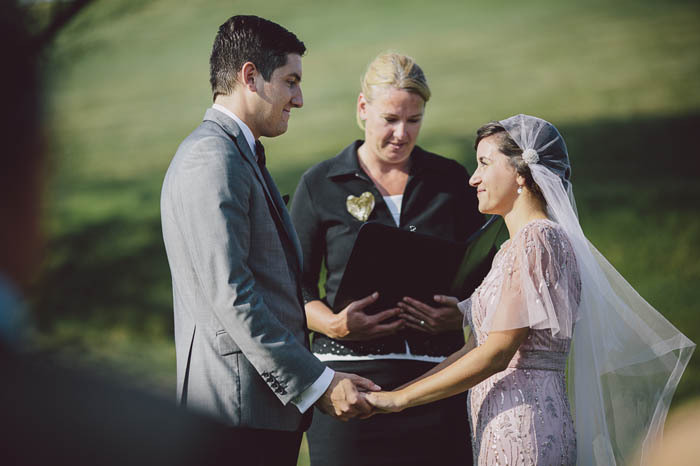 The app cues up all your ceremony songs and arranges them in an easy to play format, so you can hand it off to a helper, and fades the songs in and out, too. Before we begin, the bride and groom have requested that you do not use your cameras or phones during the ceremony and are instead fully present during this happy occasion. N.B. : Some family members ignored this request (you know who you are!) but it turned out we were thrilled to have the candid shots discreetly caught on our loved ones’ iPhones anyway. Sometimes family knows best! This is a solemn and important occasion for each of you. 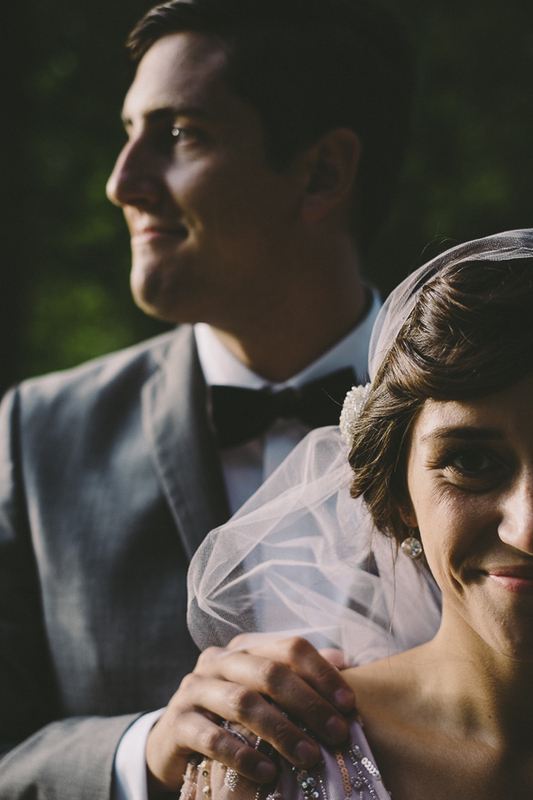 In marriage, you not only acquire legal obligations and legal rights with respect to each other, but you each entrust your whole future to the other and join his or her life, with all its joys and all its burdens, to your own. By giving yourselves in marriage, you undertake to live together as married partners to comfort and support each other, and to be faithful to each other until death parts you. It is, therefore, a decision not to be entered into lightly but rather with great consideration and respect for both the other person and oneself. 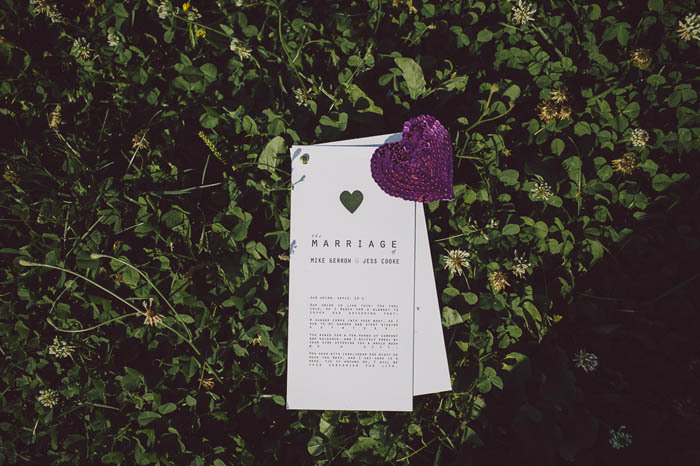 The bride and groom have invited us to share in this celebration as they affirm their love before us, pledge themselves to one another and enter into the joys and privilege of marriage. Love is one of the highest experiences we can have and it can add depth of meaning to our lives. The day-to-day companionship, the pleasure in doing things together or in doing separate things but exchanging experiences, is a continuous and central part of what a married couple who love each other can share. Marriage symbolizes the intimate sharing of two lives, yet this sharing must not diminish but enhance the individuality of each partner. A happy marriage is one that is continually developing while growing in understanding of the other person. By growing together in love, it is possible to share not only the joys of life but the burden of sorrow as well. In every marriage, there are strains and sorrows. It takes courage and generosity to withstand the troubles and trials of married life, but, if you will love each other patiently and generously, you will be able to bear them and you will even find happiness through them. Indeed, generous, unselfish love is happiness and you will attain it in no lesser way. Since we had such a small wedding, we didn’t want to pick favourites and have only one mother or one sister do a reading for us. So we chose a poem we loved, one that we felt reflected our relationship, and printed it on our program instead. Our union is like this: You feel cold, so I reach for a blanket to cover our shivering feet. A hunger comes into your body, so I run to my garden and start digging potatoes. You asked for a few words of comfort and guidance, and I quickly kneel by your side offering you a whole book as a gift. You ache with loneliness one night so much you weep, and I say here is a rope, tie it around me, I will be your companion for life. Our vows were perfect. I cried, he cried, everyone cried. And then we smiled. All day. We opted to intermingle the legal words that had to be spoken during our ceremony with our own vows. These included things like “I do solemnly declare I know of no lawful impediment why I may not be joined in matrimony to…” and of course, the I do’s! (But you could also say ‘I will,’ or ‘Yes,’ or whatever else you want to.) In the province we were married in, these have to follow a particular legal script. Your officiant can tell you if the same applies in your province or state, too. During this part of the ceremony we leaned more towards tradition, because I’ve always loved how these words sound (and I’m a former history student, and I couldn’t pass up an opportunity to use the word ‘thee’ in a legitimate setting). After the ring exchange we were pronounced husband and wife! And we kissed, just like they do in the movies. Twice, because I forgot you’re only supposed to do it once. Where most people would have a recessional, we queued up our recessional song (Sexual Healing by the Hot 8 Brass Band – it’s amazing and so fun!) and signed our marriage certificate and paperwork in front of our wedding guests. Afterwards we mingled in that beautiful grassy field, and had group photos taken. It was perfect. Questions? You can find me on Twitter! Also, I’d love to know, what did you include in your ceremony? A special reading? A new-to-you ritual? A fun song? I find wedding ceremonies endlessly fascinating. Comment below and tell me all about yours! It’s been a few weeks ladies, and I do hope you’ll pardon my absence. I jetted to the other side of the world and back, got a new name (!! ), soaked in a geothermal pool in Iceland, cruised Amsterdam’s canals, and then added a few new letters after my name (I finished my thesis!). It’s been a wonderful, glittery, whirlwind. But I’m happy to be back at my keyboard. 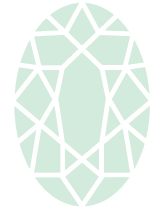 In the coming weeks I’m delighted to be sharing some details about my wedding, DIY projects, and honeymoons. But first, I’d love to know if you have questions for someone who’s just been there, done that. I DIY’ed every aspect of our wedding: The decorations, the stationery, the food, the bar, my veil, my hair and make up. I wrote and designed our ceremony and was also the DJ at our wedding party. And I’m an open book! Ask me anything, no matter how strange or small you think it may be.